With our rich industry experience in this domain, we are able to manufacture a vast assortment of Heavy Duty Rasp Bars. We manufacture a gamut of Rasp Bars which is specifically used in harvesting crops like wheat. Fabricated using finest quality EN-9 and EN-8 materials, our range can be tailored as per the specification of clients. The rasp bars teeth’s are near about 10 mm long that ensures good harvesting in the field. 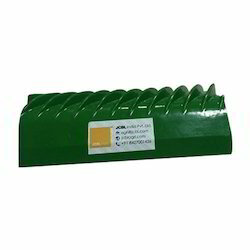 We are engaged in offering our clients with Rasp Bar Supports which consists of Hub, Ring, U-Plate and Plate used in Harvesting of system Harvester combines. With the valuable assistance of skilled team of professionals, we are engaged in offering an extensive range of high-quality Rasp Bar. Breathe Easy The Lungs are one of the most essential organs, supplying lifegiving Oxygen to every part of our body. Unhealthy lifestyle, pollution, allergies and infections affect the ability of the lungs to function at optimal levels. Reduced performance of the lungs results in a reduced functioning of the overall body.